Even with the advent of some newer post-emergence tools, the problem is not going away. As resistance to glyphosate and other herbicides continues to develop across North America, raising grower awareness of the problem is of primary importance. With no new herbicides on the horizon with the one-size-fits-all mentality of glyphosate, it’s important to preserve the tools we have. That means using them properly — at the right time, the right rate, rotating them with other herbicides with different modes of action (MOAs) and using cultural practices – many of which have not been necessary since the early 1990s. With this in mind, weed scientists from several universities partnered with the United Soybean Board to form the Take Action program to raise awareness of the problem presented by herbicide-resistant weeds. The program is a partnership between industry, crop commodity organizations, and public researchers — all are focused on finding way to help farmers recognize and manage herbicide resistance. It has grown to include farmer education on fungicide and insect resistance,as well. 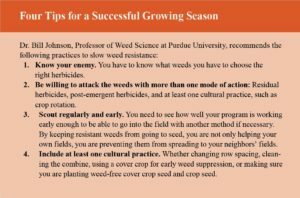 Dr. Bill Johnson, Professor of Weed Science at Purdue University, was one of the founders of the Take Action program, and says the mission is a serious one. Johnson says the introduction of new dicamba herbicides should not lull farmers into thinking they can put off changing their weed management strategies. Changing behavior is hard, especially when the new behavior involves more time and money. Johnson says researchers made some significant headway in getting growers to use residual herbicides on soybeans until prices dropped in the last few years. 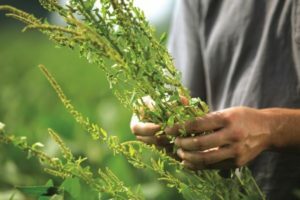 When the new dicamba technologies came out, adoption of other practices dropped even further, despite efforts from manufacturers, consultants and Extension weed scientists to urge growers to use an integrated approach. Johnson stresses that residual herbicides are key to preserving the life of post-emergent treatments. Farmers may not prefer to use them, because of occasional injury, or the need for correctly timed rainfall, but they are an essential part of an integrated weed strategy. They are an additional mode of action that can reduce the density of herbicide resistant weeds that are exposed to widely used post herbicides like glufosinate (Liberty), dicamba, and glyphosate (Roundup). 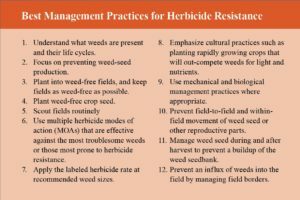 Many resources are available on the Take Action website, including weed management tools, a herbicide lookup tool with MOAs identified, scouting information, and the Herbicide Classification Chart and many more herbicide-resistance management resources. 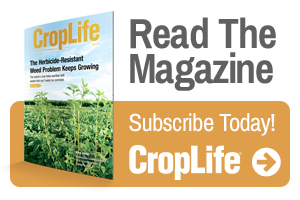 Insect resistance to insecticides doesn’t get the same attention as weed resistance to herbicides, but it should still be concerning to corn and soybean farmers — especially now, when it is still possible to preserve existing insecticide technology. Fungicide resistance is a relatively new concern for corn and soybean growers. Like herbicide resistance, the cause is overuse of fungicides with the same mode of action.